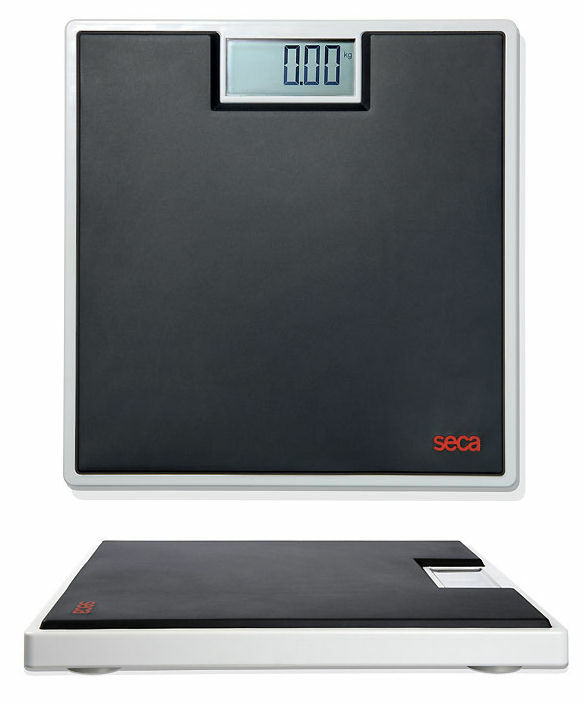 Whether in hotels, fitness studios or at home: the seca 803 is the right choice where reliable weight control is needed. It gives exact results, is robust and easy to operate. The very user-friendly construction makes this scale an indispensable aid – day after day. The perfect solution for all those who want to know for certain. The seca 803 is well-suited for hotels and private households. Safe and comfortable: The platform of the seca clara 803 is fitted with a slip resistant and pleasantly soft rubber covering which guarantees a safe and comfortable footing. Slip resistant rubber feet give the scale additional stability. The extremely low, 35 mm high platform makes the scale easy to step on. Easy to read digits: The weight is easily legible with the large, 28 mm high LCD digits. 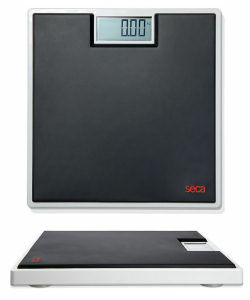 With the integrated kg/lbs/sts switch-over, the scale is also suitable for international use. Robust and easy to clean: The seca clara 803 is made of high quality plastic with enhanced surface hardness which protects the scale against damage caused by knocks or scratches. The hard-wearing surface is easy to clean. Energy-saving and low-maintenance: The seca clara 803 has an energy-saving automatic switch-off, making up to 12,000 weighings possible with just one set of batteries. However, should it be necessary to change the batteries, this is indicated on the display in good time.